The Ford history starts already 1903. Between 1903 and 1908 Ford built cars in a small scale. All were named after the 19 first letters in the alphabet. 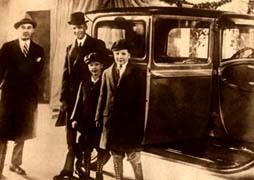 The first car was the Ford A. 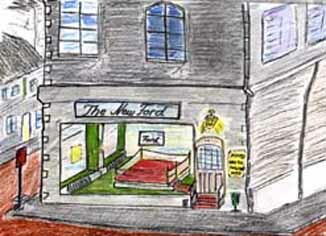 1927 the name turns up again and now as the Ford A that the whole world was waiting for. If the time ever can run out on Ford it did run out of the Model T 1927. 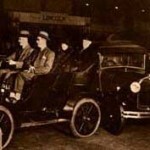 Fords competitors on the market was 1927 offering modern more powerful cars than the Ford Model T could match. 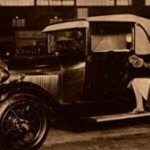 On May 1927 all Ford plants across USA closed down while the Ford Company constructed and retooled for the new Model A. The expectations was enormous about the new Ford, but was it possible for Ford to once again make a success ? Ford engineers worked hard watched by media in all possible ways. The “New Ford Car” was one of the biggest news stories 1927. 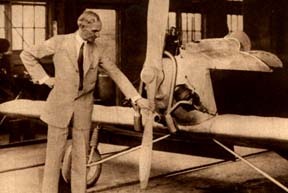 Henry Ford promised a “complete description within a few weeks” already in may 1927. The weeks seems to have been long that year. Fords advertising agency had in June new ads done on the new Model A. Strictly confidential of course but somehow they found their way out to the media. New York News Bureau released the description and the ads. It was a real panic situation at Ford. 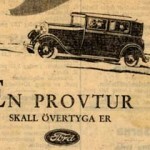 Ford´s advertising agency denied the ad as the correct description for the new Ford A. Just “fiction and imagination ” But there is “never a smoke without a fire” so the media was hungrier than ever . The media speculations about the car became wild and the rumors said that the car had a 12 cylinder engine, was electric, was a diesel and so on. Waiting was not a name for it. 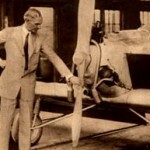 A nation was suffering and expected and Henry Ford to make a car that would be another pacesetter. 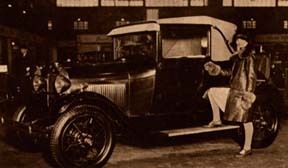 Between May 25 and until August 10 1927 no statement from Ford about the new car was issued. Edsel Ford announced ” The New Ford Automobile is an accomplished fact. The tests already show that it is faster, smoother, more rugged and more flexible than we hoped for. 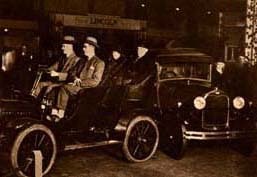 On the 11th of November 1927, 6 months after all factories stopped making the Model T, a new Ford driving on the street was spotted by a reporter from Brighton Argus ( Michigan). A “scoop” indeed for a small town paper. The New Ford Car was a pea-green Tudor with wire heels, speedometer, bumpers, 4-wheel brakes, standard gearshift and bullet-shaped headlights. 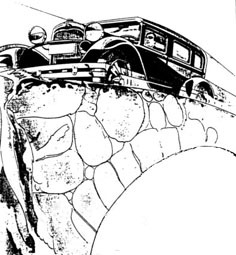 Argus wrote ” This is strongly suspected of being the new Ford “Mystery” car. On December 1927 was the Model A introduced to the market. 1.250.000 NYorkers saw the Model A during the first 5 show days. Movies and photographs were distributed all over USA. 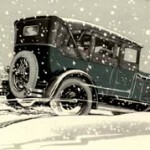 Many Ford dealers showrooms had no Model A to show during Jan Feb , Mars April, and May 1928. In may they got window posters from Ford ” wait for The New Ford ” You must say that the Forddealers were brave. Fords president passion for improvement ” and the long running start to stock up the assembly plants. 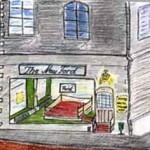 The New Ford – Success! To solve the problem with empty showrooms, Ford representatives drew cars from dealer to dealer to make it possible to show the car for one hour in each town. By January 10 1928 727.000 Model As were sold and that with empty showrooms! The production in early January was about 125-140 cars per day. The production increased dramatically and the market welcomed the Model A. The public pronounced the Model A as the complete success! The millionth model A was produced February 1928. 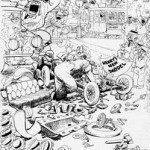 At that moment Ford manufactured 7500 cars per day! In June Ford set record with 9100 cars on one day. 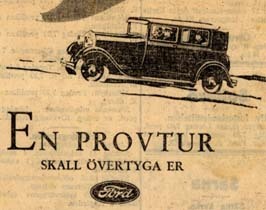 In January 1928 wrote the newspaper “Svenska Journalen” like this: The New Ford car “for every man” is on it’s way to Sweden. They also had a story about The development of Ford Motor Company. 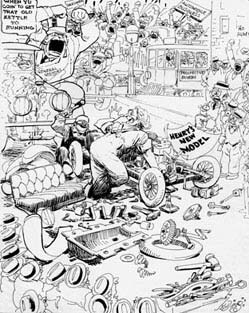 Svenska Journalen was a newspaper mainly for households and they normally didn`t write about cars. Some interesting pitcures were shown as “The New Ford Car” and it looks like the pictures are from England. The Ford A has small lights on the fenders. 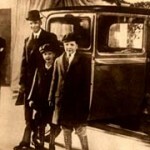 They also made a comparison between one of Henry Ford´s first cars and The New Ford A. They can also tell us that the difference is notable. If you look closely it seems like the front bumper on the Ford behind the old Ford car has open ends. That gives us the information that even cars in England had open bumper ends. The often heard theory that only 200 of the very first cars were equipped with those bumpers can that still be correct ? If this was one of the pre series cars why put on fender lights just for a visit in England? Can anyone of you give us the correct answer? I belive that the first 200 Model As made not was the first 200 that left the factory. My theory is that even nr A189 was put together during a longer period and not neccesary had all very eraly options. For example then gas tank, rear fenders etc can be original even if they seems to be of a later production date. It may have been”updated” at the factory and delivered 30 days later than made ( Lars Hedstrom Nov 2012 ) It was on the road in Sweden as early as in February 1928. This picture, also from England tells us that this sportscar for sure will become popular. This Sport Coupe has also open bumper ends and fender lights. 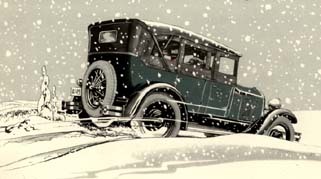 Do we have two of the first 200 cars standing in England January 1928 ? In the text I can read following ” From birth to death is a Ford cars lifetime about 7 years but there are some long living cars that stands for 14-15 years”. My friends what do you say about that ? We know better and just here in Sweden we have at least 3500 Ford A cars. (2012) Approx. 1000 of them can be driven on our roads today. Suppose that the picture was taken in USA, then we have something else to think about. Why has the car fender lights if it is at the factory in USA? If you look closely on the background on the picture with the Sport Coupe you can see some windows on the factory or place were the car was located. Look at this picture published in the same article. The windows looks similar. in front of one of the airplane that the Ford factory did build. In Sweden the ads for the new Ford A showed up. Below is an example from Klaes Jansson, Ford dealer in Falun Sweden.